Bin There Done That? I Don’t Think So! The raccoons have been terrorizing the neighbourhood recently. With such a mild winter, they have been out tearing open the “wildlife-proof” Green Bins, strewing food waste all over the place after they have eaten their fill. On top of that, our back yard kind of looks like a war zone. After removing the asphalt from our side yard, we were left with a gravelly mess. Our garbage, recycling, and food waste bins all sat along the fence, across from our side door, a necessary eyesore as we had no where else to put them. 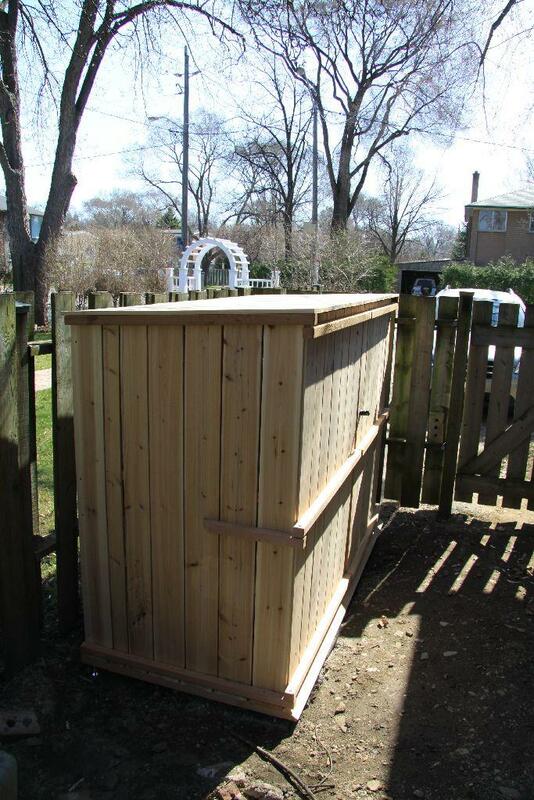 A house down the road has a nicely constructed cedar garden shed. 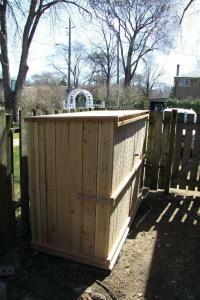 I have seen similar enclosures before in my meanderings about town. 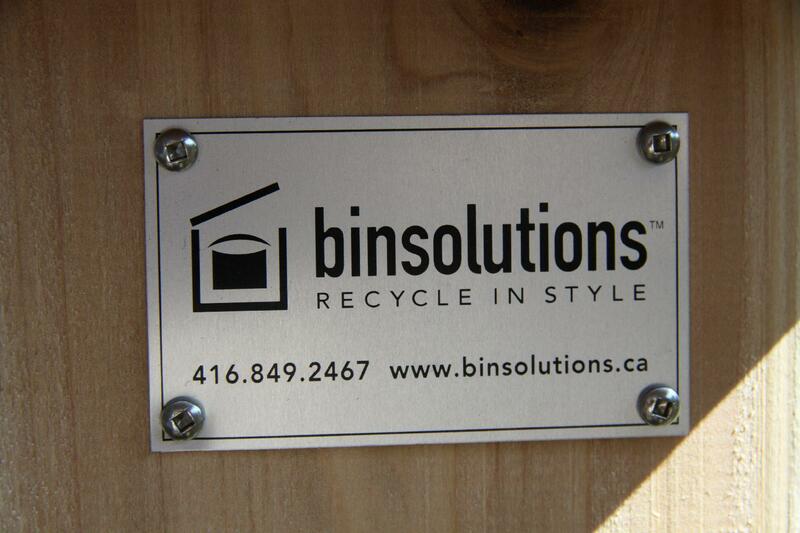 The company that makes them is called Bin Solutions. 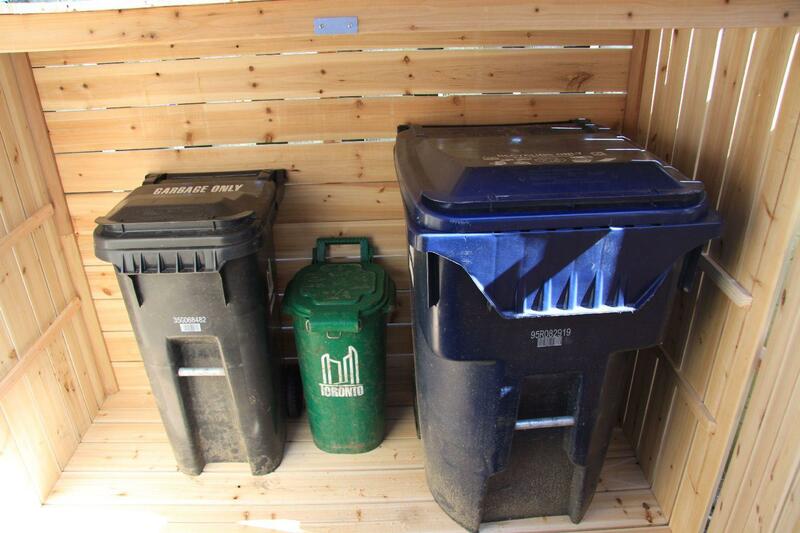 Not only do they make large sheds; they make custom enclosures for all of your waste bins! 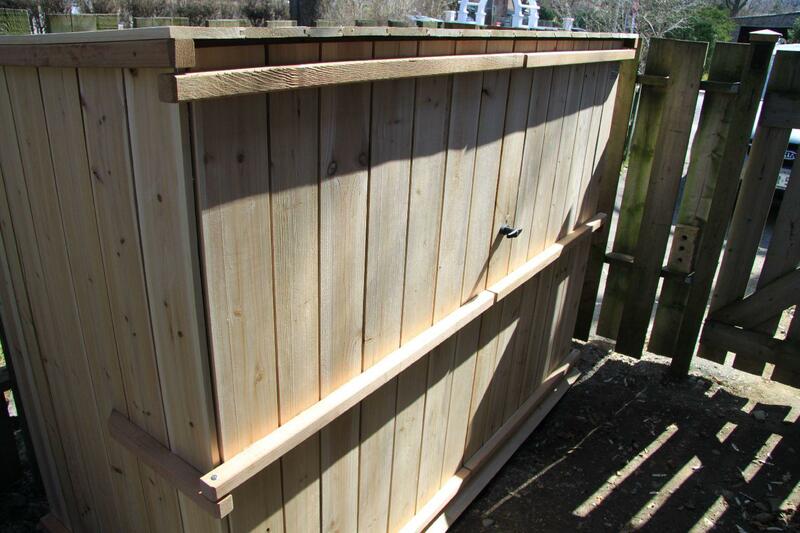 Looks great on the ouside; spacious on the inside! They are having an awesome sale right now, so I cashed in. I ordered myself the extra large enclosure in kit form (DIY), and the ordering process was easy. We scheduled a time; they bettered the delivery date; there was a glitch at the processing centre, so they delivered it and put it together for free. That’s what I call awesome customer service! They asked if I wanted this tag on there. Hellz yeah! If anyone is looking for a solution similar to the one that we got for our yard (that is both functional and looks awesome), I highly recommend you look these folks up. I’m not getting anything for this endorsement, for the record. They were extra nice to me, so I figured I would give back! Sale ends April 30th.